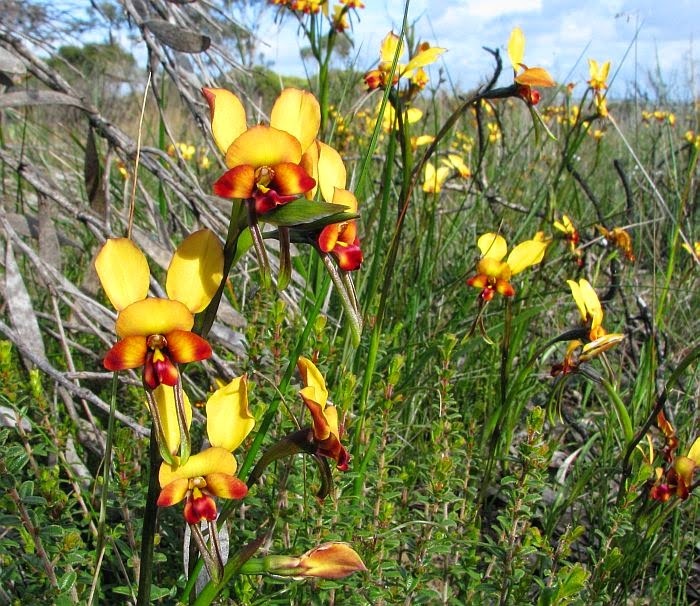 These species have been placed together here, because I cannot see much difference between them, with apparently both commonly growing together to the east of Esperance. 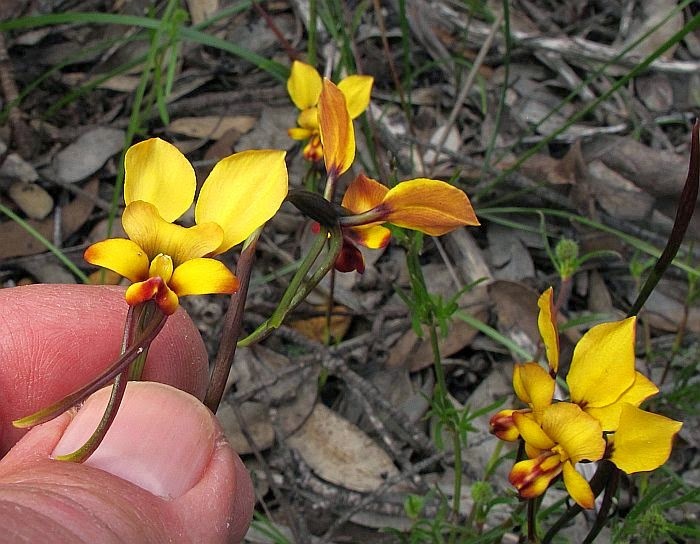 Diuris sp. 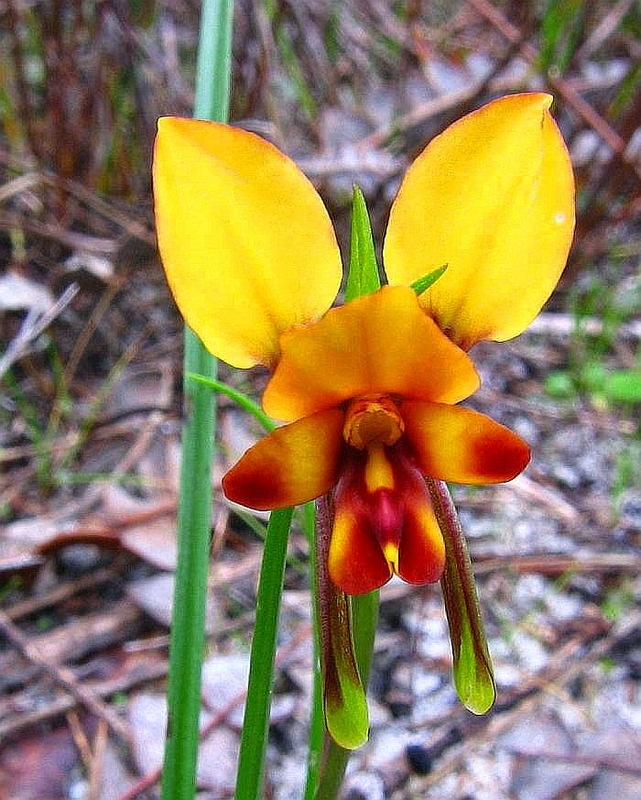 Green Range is listed from Denmark to Esperance, whilst Diuris sp. 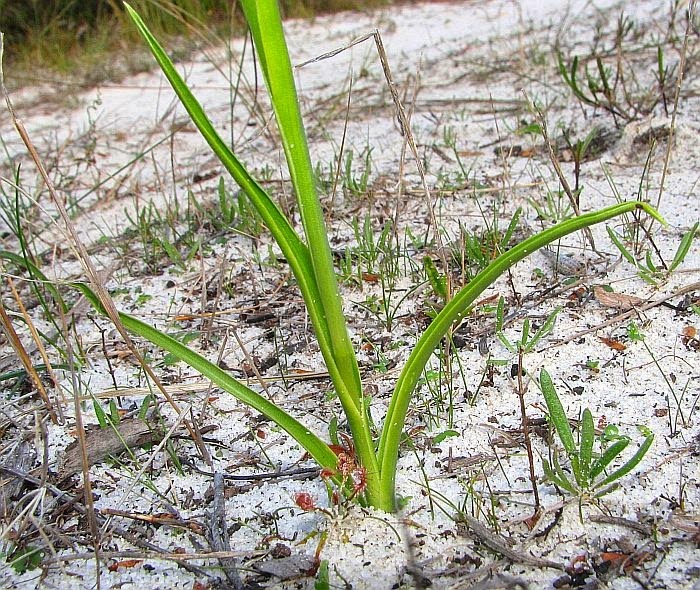 South Coast is listed from Denmark to Munglinup (100 km or 60 miles west of Esperance). 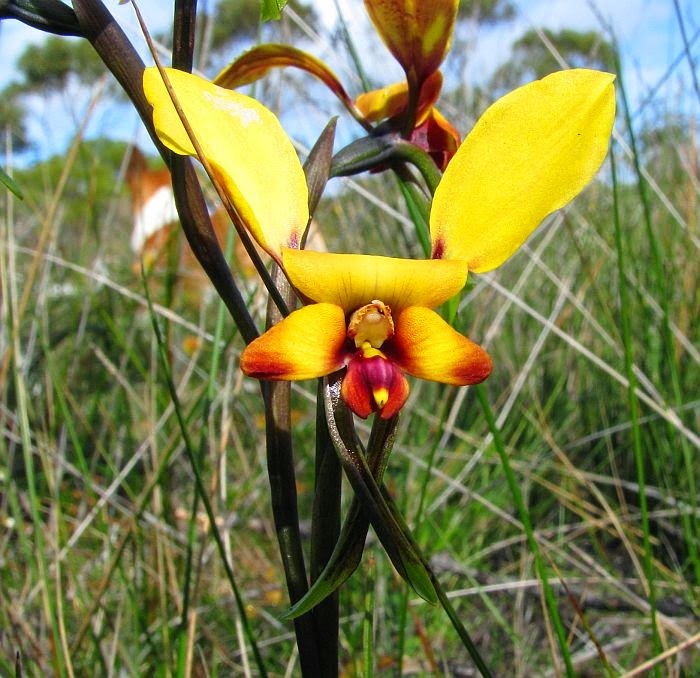 In the descriptions provided in the Field Guide to the Orchids of WA, they differ with one species having up to six flowers, whilst the other ten, but while most plants (at least east of Esperance) seldom have more than four flowers, I would say this is a highly variable feature. 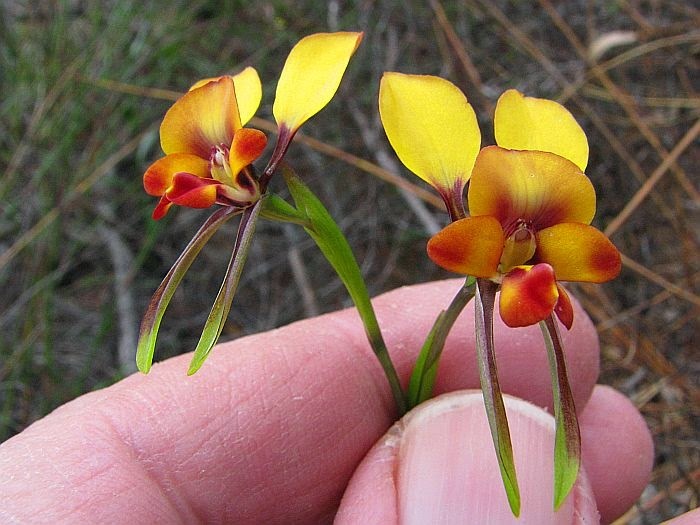 The only other difference has Diuris sp. 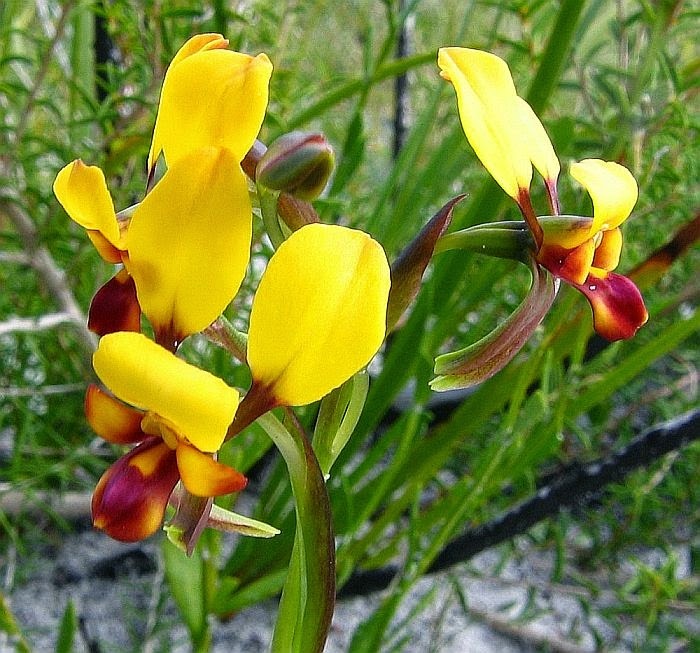 Green Range having a ‘reflexed’ dorsal sepal (bent, turned or thrown back), while Diuris sp. South Coast has a recurved (curved backward or downwards). 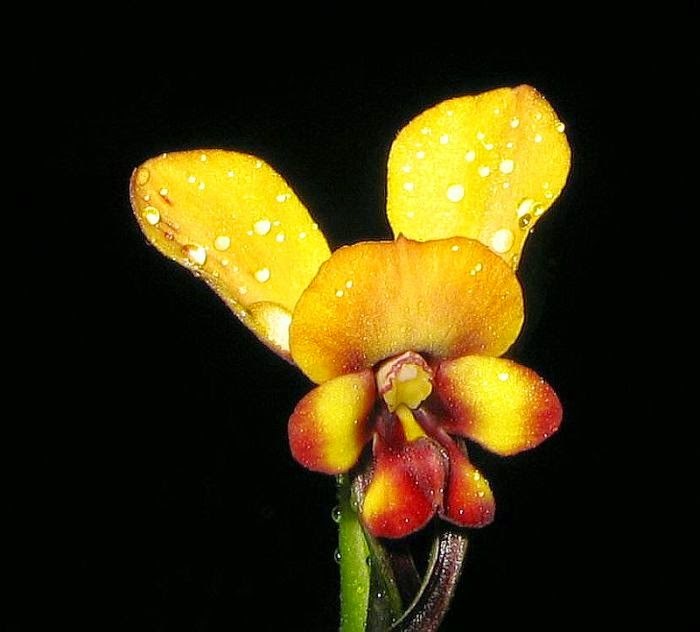 As you can see there is very little difference in that description with considerable variation with both features commonly portrayed, even on the same plant. Apart from the above, there are no other differences in their descriptions. However these spp. will no doubt be sorted out before being given a specific species name. 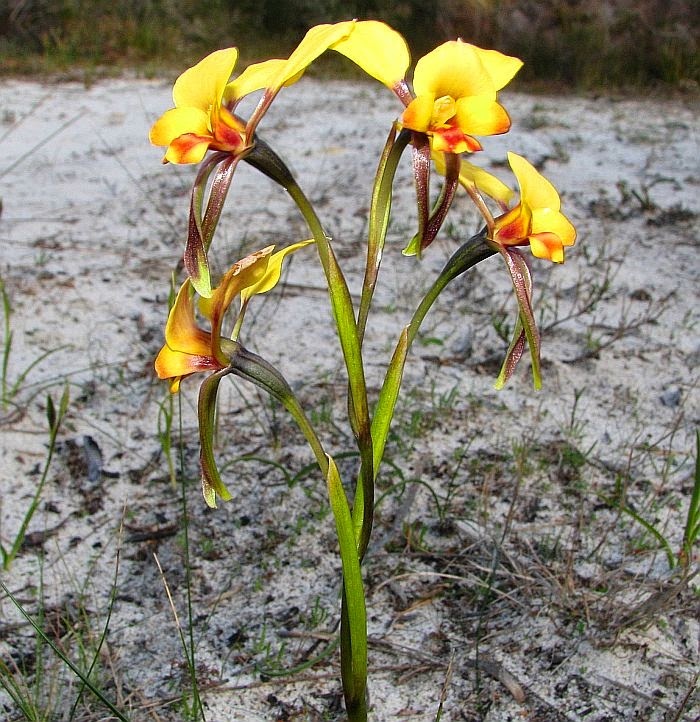 These orchids are very common in non-calcareous sandy soils around the Esperance region, being very noticeable due to their early flowering period from late June to early September. By A Brown, K Dixon, C French and G Brockman.